SNAFU! : Iron Curtain APS for Styker? The only U.S.-based Active Protection System solution for Army combat vehicles is in the midst of government testing, according to the company’s president. 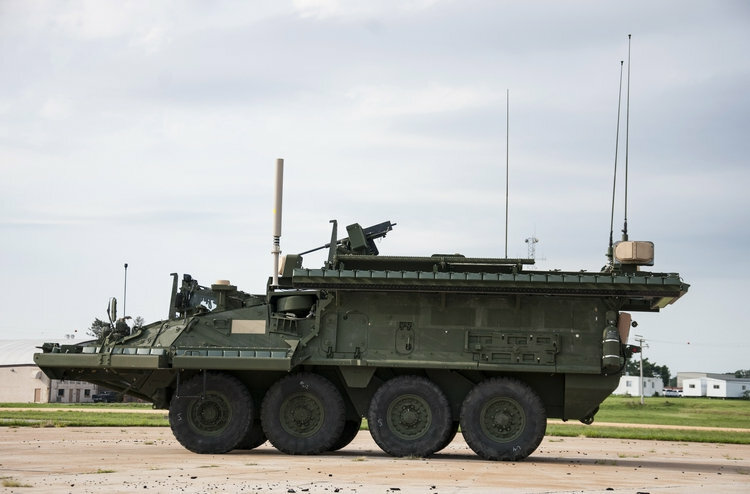 Herndon, Virginia-based Artis LLC’s Iron Curtain was selected by the Army to be qualified as an interim solution for the service’s Stryker combat vehicle roughly a year ago, Keith Brendley told Defense News in an Oct. 3 interview. The Army determined it needed APS solutions to fill an immediate need while it develops its Modular Active Protection System (MAPS). The service quickly selected three vendors to supply commercially available APS systems to qualify them on its fleet of combat vehicles. Israel’s Rafael was picked to supply its Trophy APS system, already deployed with the Israeli military, for the Abrams tank and another Israeli company IMI is supplying its Iron Fist for the Bradley fighting vehicle. The Army recently made a decision to field the Trophy system on a brigade’s worth of Abrams that will be deployed to Europe. Qualifying APS systems on the other two vehicles are behind the Abrams because of funding availability. 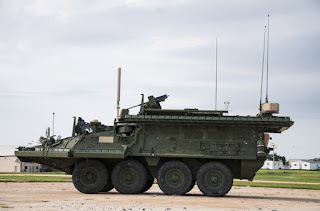 While the Bradley solution is farthest behind because the vehicle is the most challenging when it comes to adding systems onto the platform, Stryker with Iron Curtain has moved into the governmental characterization phase. The Bradley team is still in the process of tuning the system on the vehicle and is moving through contractor testing. Iron Curtain’s contractor testing “went very well and the evidence of that is we are proceeding on to government testing,” Brendley said, adding the testing has been ongoing for a month. Brendley said, so far, the government testing has gone “very well” and a decision on a way forward by the Army Requirements Oversight Council (AROC) will likely happen early next year. There is one Iron Curtain-clad Stryker at Aberdeen Proving Ground, Maryland, and one at Redstone Arsenal in Huntsville, Alabama. Artis was founded by Brendley in 1999 along with two other scientists as well as a few additional people. Artis was initially an acronym that stood for Advanced Real Time Information Systems. Ok. Someone educate me. Why does it make sense to have multiple APS systems? The trophy won't work on a Stryker or JLTV? My hope was that the Army would settle on a system. Get it in the inventory and then everyone else that operates a ground vehicle (especially the Marine Corps) would piggyback off their efforts and we would have one standard that would be upgraded to evolve with the threat. I see this system and while I thought the Trophy was a big beast this thing makes it look tiny. If its more effective then I say ok and let's roll with it. But if its just a desire to throw a manufacturer a bone then can this fucker and just buy Trophy and get this done! So I ask again. What does this do that the Trophy doesn't?